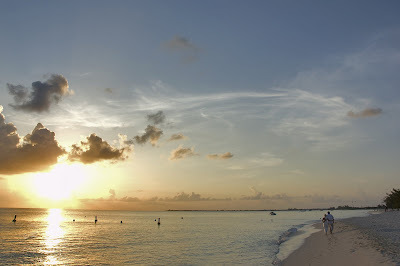 Experiencing the sunset on Seven Mile Beach, Grand Cayman. Image by Patrick Groleau. 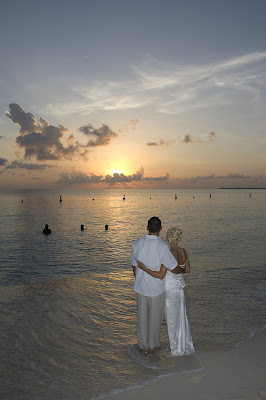 Earlier this month Martha Stewart Weddings released their list of the Top 50 beaches in the world for honeymoons. I was pleased to see that our own Seven Mile Beach made the list. I actually like these pictures better than the one Martha uses, of the Ritz Carlton hotel. My clients always want a quiet beach, with as few people in the picture as possible. For the really deserted beaches, you need to visit the other end of the island, East End and North Side, although these are about an hour away from the capital.